Wanna stop your shared video be unauthorized using and sharing, when the people playing your video, do you want to let viewers know who the video’s first author are. Only need to adding your ownership information to your video to ensure the ownership and avoiding the unauthorized using. Add watermark to your video can avoid unauthorized use and copying of it as well as promote your brand and company. It can also make the video more personalized and special. Here I share top 3 Watermark Video Software video editing tools for watermarking your videos. Read on and learn more about these programs so you can weigh your options on which one to use. JahShaka the Watermark Video Software is a commonly used open-source video editing tool. It boasts support for almost all major operating systems. There are also a ton of tutorials of this application which you can make full use of. Follow along with the instructions of watermarking and you should be the master of this tool. VirtualDub is one powerful video editing software with many features in-tact that can help you perform different changes to the video whilst maintaining the video’s quality. You can also use it to add watermarks to your video with the logo filter. Refer to this guide to get more information about how to add watermarks using this tool. 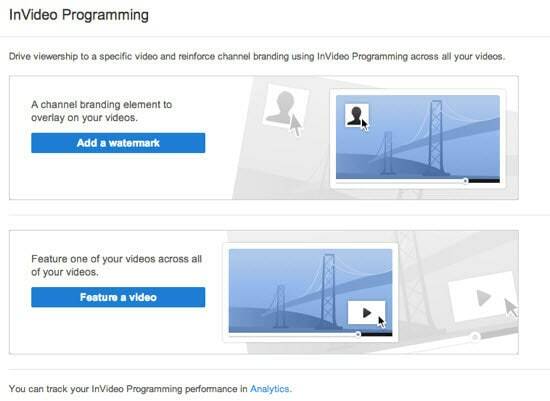 InVideo Programming is a feature that enables you to embed a chosen YouTube video or your channel logo across all of the videos on your channel. With it, you can add watermark your YouTube videos with a few clicks without having to edit the original video. Besides the free video watermark software, here I highly recommend easiest video editing software- Gilisoft Video Editor . It’s definitely a better option since it’s more convenient to use because of its user-friendly interface. Even if you’re not a pro in video editing, you can watermark and edit your videos with ease. You just have to drag-n-drop the images or logos from your computer or other external devices for watermarking. Here is a detailed guide about how to. How to Remove Watermarks ? How to Add Text Watermarks ? How to Add Image Watermarks ? How to Add Video Watermarks? How to Add Shape Watermarks?